The Harold Weisberg Archive has many items on the MLK case. One of which is his unpublished manuscript "Whoring for History." However, it's difficult to find as it's not really listed under that title. If you look under the folder "Weisberg Manuscript and Books," you will see Posner (MLK). That is the book, "Whoring for History," a response to Gerald Posner's BS book. My friend Martin Hay has written an excellent review of the God awful [deleted] that is the Wexler - Hancock book. It's here. 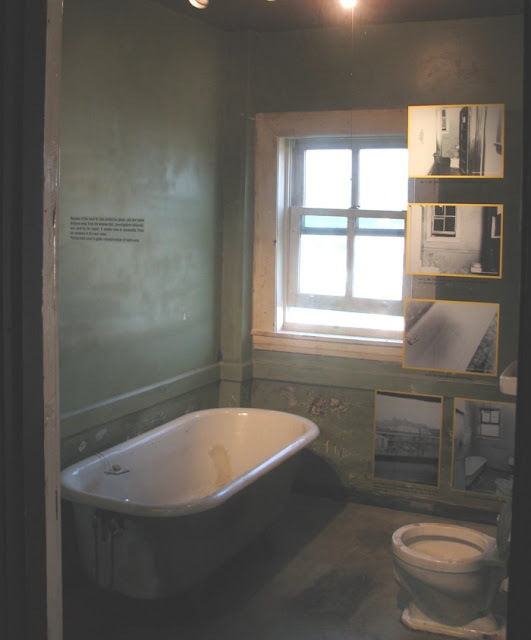 A reader sent me some info on the original bathtub that according to the official story James Earl Ray stood in when he fired the fatal shot that killed Dr. King. It was bought by a judge, D'Army Bailey. Bailey is the founder of The National Civil Rights Museum. Bailey bought it in 1983 when the former rooming house was being renovated. Bailey then sold it on Ebay in 2006. The winning bid came from an online casino, "Golden Palace." (They sound like a Chinese restaurant.) There is a short article about that here. They have a photo of the tub which shows the sloping angle at the rear of the tub. Residents of New York state are not even allowed to access the Goldenpalace.com's website. So, that's a BIG CLUE as to how reputable they are. 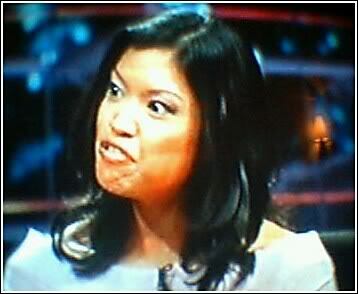 MSNBC had an article on this. However, the photo accompanying their story shows a bathtub which is clearly NOT the original tub. 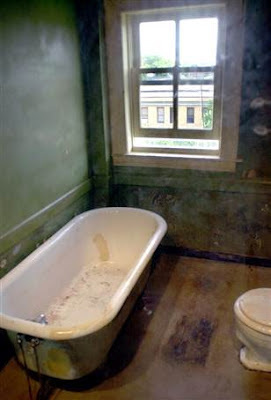 This bathtub was photographed in 2002, after the Civil Rights Museum bought the rooming house property and turned that room into an exhibit. This bathtub is still there. seen in its location in September 2002, as part of the expansion of the National Civil Rights Museum in Memphis, Tenn. This tub cannot be in Judge D'Army Bailey's private hands and in the museum exhibit at the same time.